MINISTER OF Education Mathew Opoku-Prempeh has debunked media reports claiming that he has announced that the duration for university education will reduce from four to three years. The minister has also dismissed reports that he said junior and senior high schools would be awarding diploma certificates. In a statement issued by its Director of Communication, Ekow Vincent Assafuah, the Education Ministry said Mr. Opoku-Prempeh was misrepresented in the media reportages from the Danquah Institute’s (DI) public lecture held on Friday, February 8, 2019 in Accra. The lecture was held under the theme: “World Class Education: An Imperative For The Next Generation Of Leaders”. According to the statement, the minister, in his speech, sought to trigger a national dialogue to potentially reconsider reverting to this undergraduate model on the basis of a much improved and robust senior high school curriculum so that students can be adequately prepared for a three-year undergraduate programme. 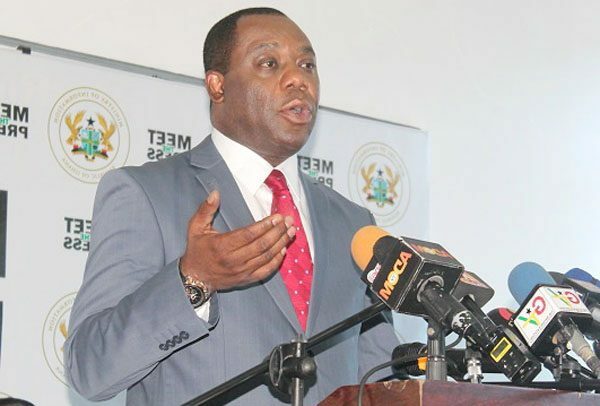 On the second issue, it said the minister sought to ignite a conversation on whether all senior high school students take a university entrance exam such as the West African Senior Secondary School Examination given the diversity of learners in Ghana’s senior high school system.